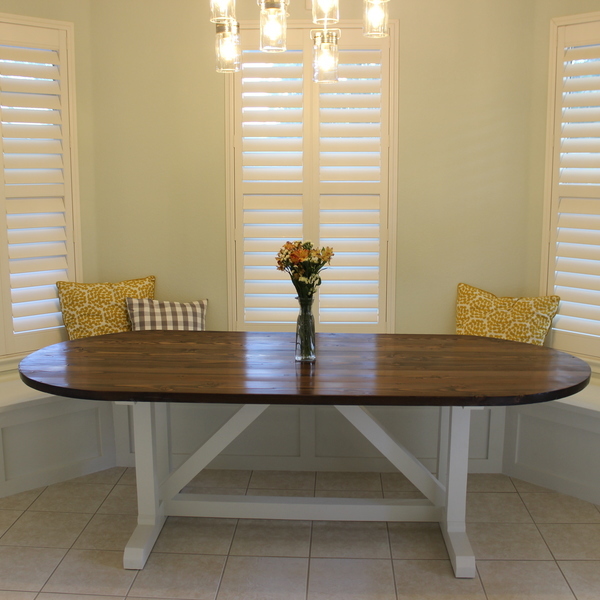 Build video: https://www.youtube.com/watch?v=u5EPXPv3pPs After building a banquette in my kitchen's nook, I needed to a table to go with it. Because of the angular shape of the banquette, I needed a table that would allow people to easily scoot around it, and that's where the racetrack shape works perfectly. 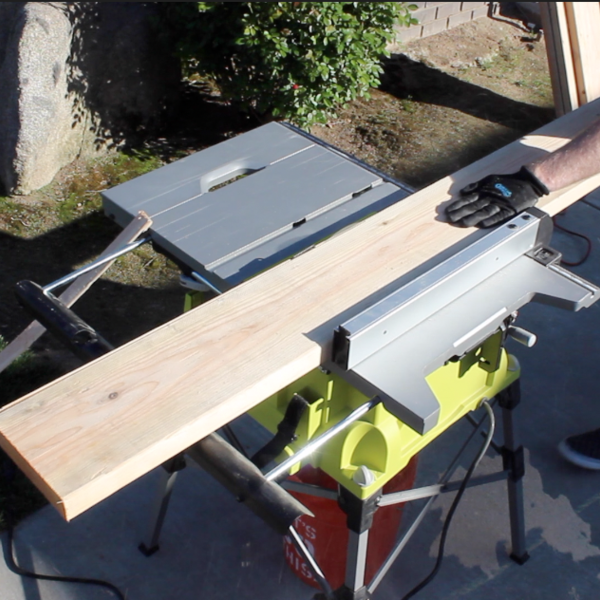 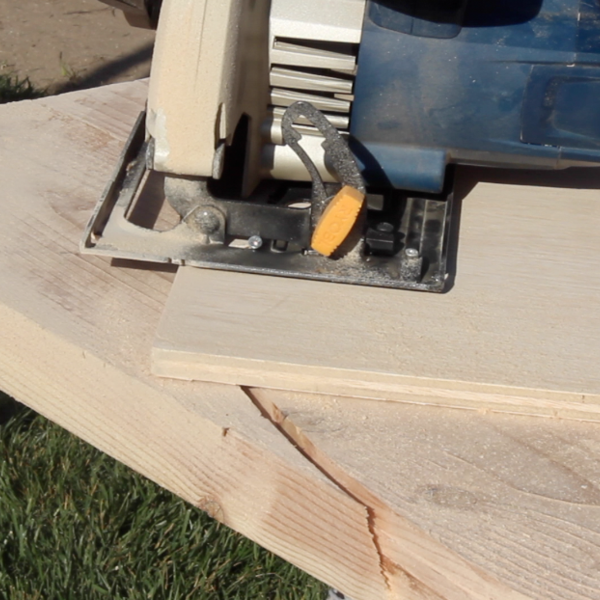 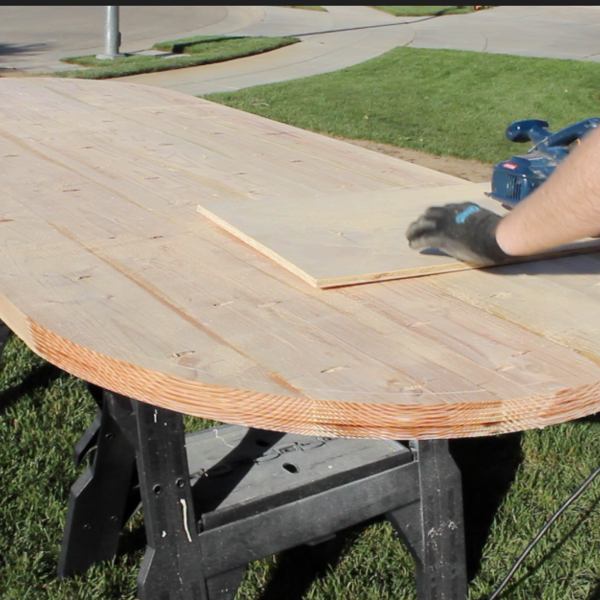 The tricky part of building a racetrack table is making large circular cuts. For woodworking novices like myself, this might seem daunting, but with a circular saw and a simple jig made of plywood, it can be done. Great idea choosing the racetrack shape! 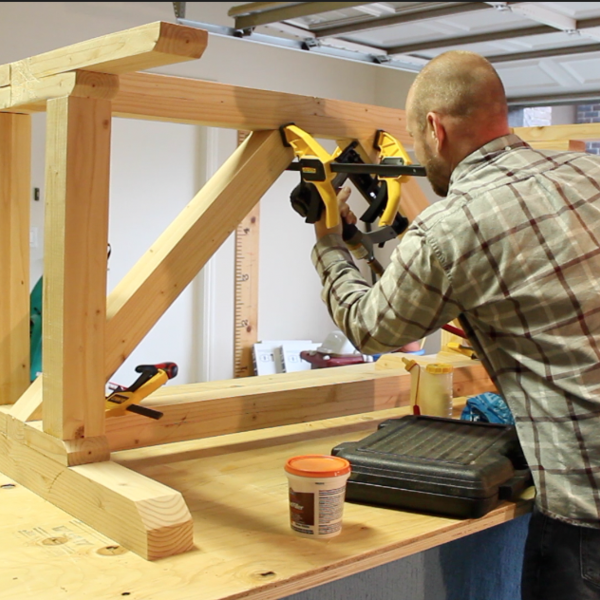 It fits the space perfectly. We're sure many great meals will be enjoyed at your Racetrack Farmhouse Table!